Pork professionals will have access to the latest production and management strategies at the PORK Academy and Business Seminars on Wednesday, June 6, and Thursday, June 7, at the 2018 World Pork Expo. This year’s lineup includes 20 seminars, all of which are free with an Expo registration. Topics range from sow productivity and longevity to export and domestic pork marketing to manure management to optimizing piglet growth and much more. 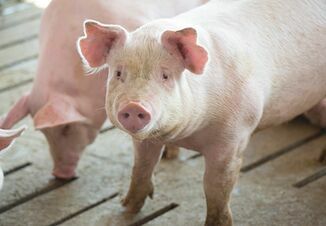 The seminars are among the many events that visitors will find at the 30th World Pork Expo, presented by the National Pork Producers Council (NPPC) June 6-8, at the Iowa State Fairgrounds, in Des Moines, Iowa. 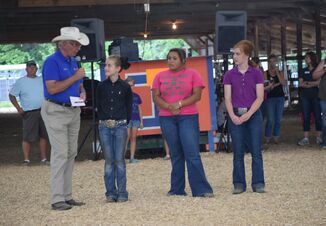 Other featured activities include the world’s largest pork-specific trade show, live-hog shows and sales, networking opportunities and lots of grilled pork. A record number of Business Seminars are on the docket this year, and attendees should plan ahead to make the most of their Expo visit. Whether they’re looking for ways to maximize piglet survivability, better understand today’s consumers or fine-tune ventilation to boost productivity, attendees will find proven, practical advice at the Business Seminars. 8:00 a.m. to noon — “The impact of manure management," presented by Corteva Agriscience. Attendees will hear research results that impact swine manure application timing and the benefits to soil health. 8:00 to 9:00 a.m.; 9:30 to 10:30 a.m.; 11:00 a.m. to noon — “Can agriculture win the battle of misinformation?" presented by U.S. Farmers & Ranchers Alliance. This seminar, which will be offered three times, addresses why it’s important for pork producers to engage with consumers and share their stories. 1:00 to 2:00 p.m. — “Improving pig productivity is the ‘new normal’,” presented by Tonisity. A panel of experts will explore changing expectations around on-farm antibiotic use and its impact on pork production. 2:30 to 3:30 p.m. — “How much is too much for pre-wean mortality? Is there a better way?” presented by Tonisity. Panelists will explore practical ideas for reducing pre-weaning mortality to minimize the impact on an operation’s overall profitability. 1:00 to 2:30 p.m. — “Nutrition optimization and impacts on pig survivability and growth,” presented by Kent Nutrition Group. 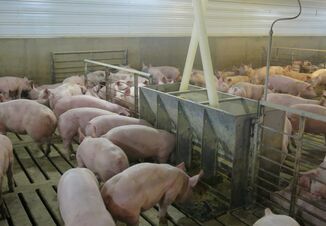 Better pig nutrition leads to healthier pigs and lower costs. This seminar will outline options to get piglets off to the right start. 8:00 to 9:30 a.m. (Spanish version); 9:30 to 11:00 a.m. (English version) — “The Vaccinologist,” presented by Zoetis. The goal of sending more healthy pigs to market requires preventing disease from the start. This seminar is designed to build pig caregivers’ understanding of the “why” behind effective vaccinations. 8:00 to 10:00 a.m. and 10:00 a.m. to noon — “Do you know how the complex landscape of respiratory health impacts your business?” presented by Boehringer Ingelheim. This multi-faceted seminar, to be offered two times, will outline new data and management ideas for addressing respiratory disease and its impact from nursery to finishing. 11:00 a.m. to noon — “Threats adapt: Are you ready? An in-depth look at the PCV2 genotype and current coverage,” presented by Zoetis. This seminar will discuss the genetic drift and shift of porcine circovirus type 2 and why a vaccination program needs to provide broad and extended coverage. 1:00 to 2:30 p.m. and 3:00 to 4:30 p.m. — “Voices of influence: An in-depth look at how various influencers are shaping meat-buying trends and how it impacts producers at the farm level,” presented by Zoetis. This seminar, offered twice, will explore consumer research and how the public’s expectations of how hogs are raised and cared for on the farm increasingly influence meat-buying trends. 1:00 to 3:00 p.m. — “SKOV Pro Grow: How to optimize pork production by providing your animals with optimum climate conditions,” presented by SKOV A/S USA. Attendees will learn about online ventilation solutions and review Danish and U.S. data from the Pro Grow pig monitoring and weighing system. Included in Expo’s seminar offering is PORK Academy, with 10 free sessions for pork producers and their staffs. Presented by the National Pork Board and Pork Checkoff, the PORK Academy seminars are designed to give producers a deeper understanding of their checkoff investments. The Pork Checkoff also provides a weather, crop and hog market outlook session on both Wednesday and Thursday in its hospitality tent, beginning at 12:30 p.m.
There’s still time to register online to attend the 30th World Pork Expo, June 6-8. All the latest details, including daily event schedules, hotel availability and more, are available online at the World Pork Expo website.